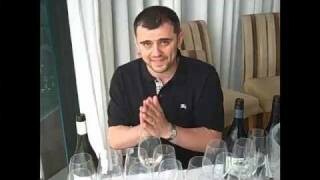 Gary Vaynerchuk has predicted India will make a big splash on the world wine scene in the next decade, will these 3 wines show that kind of potential? Q-Better you in India than me, Brett’s no spring chicken anymore…good luck. Good show – glad that the last wine redeemed the wine in that country. QOTD – I am happy that you are in India, but I am sure that you would prefer to be in Bordeaux or Toscana! QOTD: VERY excited about the temporary relocation of the thunder saddle to Mumbai and I look forward to boosted quality from India soon. Yeah yeah- yay for you and your Favre. Glad you loved Mumbai, which personally I advise people to avoid, like the Indian wines i’ve tried. Both were dirty and harsh, although there were some beautiful points mixed in. I do love India though (Madras, Trivandurum, even New Dehli were all great, just not a fan of Mumbai after spending 3 weeks there) and am glad you found a well made wine there – I stuck with beer after several terrible wine experiences. Hey, your N.Y. Jets were victorious today. I hope they continue to improve (except against the Pats, of course). I watched a bit of the game today and couldn’t figure out why they were wearing blue and gold uniforms. Interesting results you came across. I’m kind of surprised that something like Chateau D’Ori could come out of India this soon. It always seemed to me that the biggest thing about wine in India hasn’t been about people not knowing how to make great wine, but about the buying constituent preferring certain ranges — Sula’s blushes/roses are popular in _India_ for a reason, after all. The market in India has much more experience and exposure when it comes to beer, rum, and gin than they do with wine. I was kind of curious on one thing, though, and that is the matter of wine pairing with Indian food. I’ve often found that wines that have a whole lot of complexity and a whole lot going on tend to be a bit too much when taking Indian food (particularly North Indian dishes which are cut with cream/butter) because the food itself is loaded with a pretty complex web of flavors and aromas, both in terms of spices and in terms of aromatics like onions, garlic, etc. Maybe it’s just me and my palate not having the strength to take it all on the chin. Similarly, high alcohol is generally not preferable to me with the food of certain regions in India (particularly areas like Andhra or Goa). Mainly because there’s a lot more use of pure heat in the food, and high alcohol makes that heat just burn. I don’t like more than 12% alcohol content with Indian food, save for desserts. Acid is fine, and generally a good thing for heavier, richer North Indian dishes (which you’ll run across in restaurants but less so in homemade “grandma” stuff), but then a lot of South Indian dishes tend to have their own strong acid component through the use of tamarind, lemon/lime, yogurt/buttermilk, and I find that that the acidity of most any wine gets squashed in the face of that. Some South Indian dishes are comparatively simple and more or less water-based, and then you can get away with more complex wines to complement them, but even then, it’s still always a challenge to find something that works. A few local restaurants I’ve found will actually take common South Indian dishes like Masala Dosa and in order to get a good wine pairing, they have to take a hacksaw to the food and remove many aspects of the base recipe and the way it’s served and you end up with a poor facsimile of the food just so that you can get a decent white to go with it. 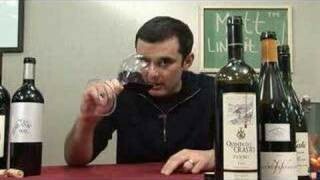 Personally, I’d prefer a substandard wine that pairs well with good food than substandard food that pairs well with a good wine. Comparatively speaking, beer is easy to work in, and it’s probably because its primary angle is bitterness, botanicals, and floral notes. Medium-hoppy lagers almost always work well with North Indian foods of any type, though I might lean a little towards strong ales for South Indian, maybe even porters with certain items popular in Goa and West Bengal. Although there are plenty of beautiful wines for pairing with Indian desserts, particularly since many of them are nut-based or dairy-based, the big thing is that whether it’s wine or beer, it always seems like you get the biggest bang if you focus on bringing out qualities of the sweets more so than qualities of the beverage you’re drinking. 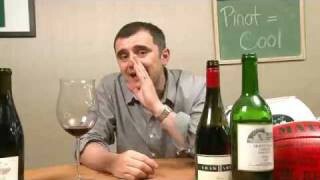 I’d love to see you do a show on wine pairing with Indian food. It seems like so many people refer to it as sort of the “Everest” of food-wine pairings. @Matt W : Muslim population in India is the 3rd largest in the world at about 150 million people, but they’re only about 13% of the population, with about 80+% being Hindu. I’d also add that a measurably large section of the Muslim population who stayed in India and didn’t head into Pakistan with the split actually did so because they wanted to avoid prospects of Sharia and lead a less religiously-ruled lifestyle. As such, it’s not that unusual (though not common) for even Muslims within India to be okay with drinking alcohol, as they are effectively “moderate” Muslims. Very happy for you that you are bringing in information about smaller wine producing countries to the masses. Thank You for the kind words……….